What shall we have for dinner? Such a simple question has grown to have a very complicated answer. We can eat almost anything nature has to offer, but deciding what we should eat stirs anxiety. Should we choose the organic apple or the conventional? If organic, local or imported? Wild fish or farmed? Low-carb or low-cal? As the American culture of fast food and unlimited choice invades the world, Pollan follows his next meal from land to table, tracing the origin of everything consumed and the implications for ourselves and our planet. 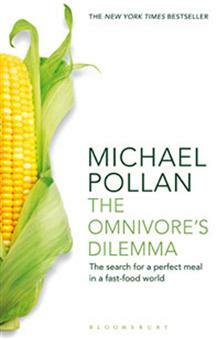 His astonishing findings will shock all who care about what they put on their plate.